If you had to live in one room, with only one person forever - who would you choose? 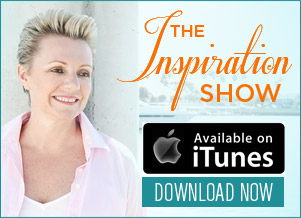 On this interesting episode of The Inspiration Show, my good friend and thought leader Stewart Emery, discusses the importance of choosing who you let in your room, aka - your life. 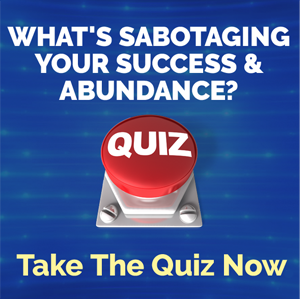 Watch it now to discover how to set healthy boundaries, especially if you struggle with communication or ending toxic relationships. NL: Hi everyone. My name is Natalie Ledwell and this is the Tnspiration Show. Today on the show, I have a very special guest. He’s actually known as the father or one of the fathers of the Human Potential Movement. So it’s an honor to have him on the show today. But before I introduce my special guest, I just want to remind you that once the show’s over, don’t forget to click the link below this video so you can download the free ebook version of my bestselling book Never In Your Wildest Dreams. Now, let me introduce my special guest today, Mr. Stewart Emery. How are you Stewart? SE: I’m really good. I’m very happy to be talking to somebody whose language I speak. NL: Right? And we get, you know, as you can probably hear, Stewart is also from the Land Down Under, from Australia. Although you’ve been here in the US since what, the 70s or something right? SE: Yeah. I got here on 1971, came for a couple of weeks. I’m still here as we say. We don’t use consonants as you know in Australia. I’ll be on good behaviour though, I’ll try to use them. NL: Alright. Now, like I said before, you know, you are one of the pioneers of the Human Potential Movement here in the US. And for those people who are not familiar with some of your, give us a few highlights of you know, what your background is and then we want to talk about this new book of yours, Who’s In Your Room. So yeah, what’s a little bit of your background Stewart? SE: Well, born on Australia, went to Sydney University, ran the university newspaper with a fellow called Bob Hughes who wrote a book called The Fatal Shore. Now a fellow called Richard Neville then I started working on a fellow called Johnny Single who got to be quite famous in Australia. And I solved the problem of being desperately poor as a child and woke up one morning and now I was kind of one of the man in my field of photography, cinematography and television commercials. And but now that I have a bright orange Porsche show car and money, it didn’t make the difference inside I’d hoped for. Still felt like a little poor kid growing up in the blue mountains and then my first wife whose past gave me a book called Think On These Things by J. Krishnamurti. I read the book on a trip to Ceylon or Sri Lanka to shoot commercials, went around the world shooting commercials for Pepsi. Start having all of these old at state experiences not dragon juice for no reason I knew of and I started to change my life then I got involved with a company called Holiday Magic, got a program called Mind Dynamics. I was going to take Mind Dynamics back to Australia but Werner Erhard did a intensive with his people for him and we found the EST at the Sir Francis Drake Hotel in San Francisco in 1971-72. So I’m still here after all that time. You know, I didn’t know what I was going to do so I went down to town hall metaphysical book store, no longer there, found a book called Aliveness, Health, Wealth, Happiness, and Full Self Expression and that became the core idea of EST, this idea of aliveness. That’s been the core idea of mine ever since and then gradually I begin to realize that I’ve been very careful about who I surrounded myself with this people and then the idea of a Who’s In Your Room happened by accident and we turned it in to a new book, so it’s a very short thing. I’ve written about 8 or 9 books. NL: Yeah. And I love the story about how this book came about. So can you share that with our viewers? SE: Yes. So a fellow (inaudible) who some of you may know of, and I were working on a book called Sundays with Stewie or Sundays with Stewart because he’d come over, I’d make him coffee on Sunday mornings. And we were going to pitch it to Bonnie Solo. Alex was late for the meeting and he walked on the door and he said Well I’m sorry I’m late but I got waylaid with a phone call from a fellow called Richard Sapio who has this idea about you know, that I’m too busy, he wanted me out of necker island, I’m too busy he said well you’re too busy because you got too many people in your room and you need a doorman. Alex says well what does that all mean, he pulled over a list and came to us. Explained what it was about that imagine you live in this room and the room only has 1 door and it’s an in and not an out though once people come in to the room they can never leave, they’re with you forever. We are always letting people in so we should do this book called addicted to yes. I said well, I love the idea of the room and you mentioned briefly a doorman, but I don’t like the title addicted to yes, it sounds like a 12 step process for the promiscuous. NL: (laughter) Yes it does. SE: (inaudible) Admittedly offend me but I thought I don’t think it’s (inaudible) just saying you know. So I said, well what could you call it they asked, I said well you could call it something like Who’s In Your Room? And there we are the book was born. Well, it wasn’t born, the idea started, we got pregnant with the book, it was a long… long to get the book out of our room in to the marketplace about 6 years. NL: Right. Now I love this concept because I also, especially, since I moved to the US as well which is around 10 years ago now was very deliberate about you know, who I mixed with. 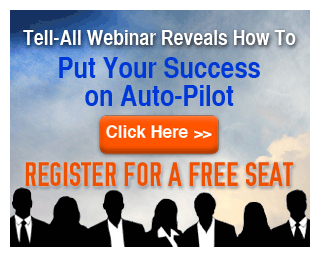 We joined a mastermind group people when I moved to L.A., the friends and the social network with that I set up there you know, transformational leaders, people that have a life of meaning but I was very deliberate about that. So when you’re talking about Who’s In Your Room, what is the room? Is it our life? SE: Yes, so of course, it’s a metaphor that you live by. So we start with a set of people then I’ll repeat the core idea. Imagine you live in just one room. You’re whole life takes place in this room and the room only has 1 door, not unusual except this door is very unusual, it’s in only, entry no exit. The result is whoever comes in to the room of your life plus whatever they bring with them is with you in the room of your life for the rest of your life, they can never leave. Now if you knew that, would you be more careful about who you let in. And before you say hey, that can’t literally be true, a brain scientist will tell you, as far as your brain is concerned it’s totally true. You may think you gotten people out of your life but they’re still in your head. SE: And so, now you say, well if I accept that, I will ask people who are just willing to live from this moment on from the point of you that is absolutely true and then we talk about well, how do you select the people you let in, what you do with the people you already got in there. Some of which you wish weren’t. what do you do with your mother in law, all those basic things. NL: (laughter) Right. So how do we go about choosing the right people to be in our room? SE: Well, we suggest the people that they create a doorman. They can call it a bouncer or a doorman or a bodyguard. I think doorman is a little more classy but people say well you know it’s sexist. I don’t know whether it is or it isn’t, I’m Australian so how would I know right? (laughter) but the idea is the doorman has a list of qualities that you require of people who come in to the room of your life and that you pick those qualities based upon your own aspirational goals and your own values, aspirational values, and you only let people in to the room of your life who are resonant with what matters to you. Resonant with what you care about. Resonant with what your values are and resonant in supporting you becoming the best version of yourself. You’re authentic self, not your egoic self. NL: Right. So okay, so will they be different qualities for different areas of our life? SE: Well, yes and no. So I think you break it down, there would be different skill sets for different areas of our life but I think it still want the same basic qualities. So for example, for Joanie and I, one of our core values is we don’t let people in to our room who are not kind. NL: (Laughter) Yeah, I don’t know how to have a good time. SE: Right, so you’re one of the most alive people I’ve ever met and I love that about you. There’s lots of things I love about you, I especially love that. NL: Thank you. So alright, so let’s say that we recognize someone that we don’t want in our room, how do we stop them from coming in? SE: So, you simply don’t invite them in. Now let me go through a couple of things. I do tell people to make a distinction between the person and their behaviour. SE: So we all know people, they want to be, they want us to follow them on facebook. Well you just don’t do that. They send us text, well we just don’t respond. So if we don’t pay attention to them, they’ll eventually give up. Right, now, then you get the thing with family people, well what do you do with family members? So I have my mother-in-law story and I actually like my mother-in-law, she’s 98. Right? And she’s always telling people you should do this, you should do that, you should do the other thing, I say, she ‘shoulds’ on people and I don’t like people to should on me right? SE: So I told her about this Who’s In Your Room and the idea of the doorman and I said, Doris I’d love to talk to you but if you start should-ing on me, my doorman will hang up the phone. SE: So I said, we understand, so we talked then she calls back a day later and she starts should-ing on me and I go (acts hanging up the phone) right? And she calls back, did you just hang up on me? I said Doris, I would never hang up on you, I love you, but my doorman hang up on you. And she’s a smart woman so at that moment she got it. It just drew the boundary line, that’s really interesting that you can use this mythical virtual intercessor, the doorman, this character you’ve created. Like when you’re a little child and you had your best friend who was an imaginary friend that you talk to, who had your back. Well, the doorman is just a grown up version of that little friend you had when you were a little kid who had your back and looks out for you. And the people, I do it with humor and kindness and an Australian accent which gives you a lot more leeway (laughter) get away with a lot. NL: Yeah but not even healthy boundaries, just you know, stable boundaries so that you know, we can, because there are some people that have to be in our life like you said, if they are family members, if they are co-workers, but it’s a way for us to go “look, this is my boundary, this is the behaviour that I don’t, I don’t buy in to this behaviour, I don’t agree with it so I’m going to use my doorman to then be able to remove myself from the conversation”. SE: And people kind of get that. I’ve found if you have a direct and kind conversation with people, they’ll get it. So we have a gathering of friends, 34 year old friends, I (inaudible) years old, finally been friends for 30 or 40 years. And this is a very divided time politically in the United States and I still worry that Americans take themselves far too seriously but if I can say that, I’m going to be in trouble. But we have a doorman who’s interviewed all of the guests for the night and the doorman said “look, we are going to have this wonderful evening, we’re going to celebrate the fact that we’ve all been married for 30 or 40 years. Happily with the same person.” And we love our spouses and we love each other as friends so we’re going to have a celebratory evening of love and you cannot bring any political discussion to the table. You will leave politics at the door. The doorman will ask you to check your coats, take your shoes off when it’s raining and check all your political opinions and will put them in a closet, you can have them when you leave but you can’t have them when you’re in our house. SE: That’s a good example of how you do that. So you separate the people you love from certain behaviors or topics of discussion that are just off the table at the dinner table. NL: Yeah. So this sounds like how you would deal with someone who’s already in your room that you don’t really want to be there. SE: Correct. Yeah, so you just don’t, you just enforce the boundaries. So enforce sounds like conflict again and violent again, but it doesn’t have to be, you just simply gently remind people. And we have a, people wants these 2 kinds of management. Jewish-mother kind of management where you bug people all the time and benign-neglect. So I found that benign-neglect works well when you want people not active in your room. They’re still in your room but they are simply not active, not impacting you. And there’s lots of ways you do that. You don’t comment on the facebook posts, and if they are really persistent, you unfriend them. You don’t respond to a message from them instantly. You start your respond in an hour, then a day, then a week, and then you forget about it right? (laughter) So eventually, what you don’t pay attention to drifts away. And you pay and focus your attention and your energy on the people in your room, the projects in your room that move your life in a positive direction. NL: Yeah. And what I love about the book is that it’s not some big text, it’s just like, it’s something that’s very simple, we could read it in an afternoon but it gives us some really clear instructions and how to’s on how to set out like healthy relationships in our lives. SE: Correct. And it goes through how do you actually determine your values, what really matters to you. You may think you know but you might be surprised to find you don’t. that sometimes the things that really matter to, a mask from your conscious awareness and when you unearth that and start to live it, you’re life changes in a very good way. We talk practically how to, detail good people out of your life even if they’re still in your room but to stop them being active. Another thing that I found, we don’t talk a lot about it in the book but I like to take a moment now, it’s what I call virtual mentoring. Because it’s not only who’s in your room for a live person, but I was sitting with Alice Waters one night. And she’s one of the great chefs, the French named her in the top 10 in the world at one point. And the French don’t like Americans particularly so this was a huge accomplishment. And she was talking, I said so who had the most influence over you when you were developing as a chef? And she said a man I never met who’s past now. She said but I read his book and spoke to my heart and it stirred my soul and that was the beginning of my journey, I will forever be grateful for him. So this was a long time ago when there were books and no internet. But now if you’re really discriminatory about your sauces, say you’d learn how to pick really good sauces on the internet because we both know, there’s a lot of rubbish but it’s also great material. You can learn to be good at almost anything if you’re willing to apply what you can learn. Watching world masters at doing something on the internet. SE: So we talked to people about that. And then talk about well whose room would you like to be in. You know if you’re going to build a career then you want a good mentor and a live one is often very helpful. So what kind of person do you have to be for that live mentor to let you in their room. You got to get past people’s doorman if you keep living this metaphor. So the thing, well, who do I have to be. Not pretend to be. But what do I actually have to be about. SE: And if you look at the qualities of people who actually you might want to be in the room, who could help you build the life you dreamt of but are often frightened you’ll never have. You think about what qualities do I need to aspire to. That’s life changing. NL: It is. And it sounds like being in integrity and authentic to what is important to you. 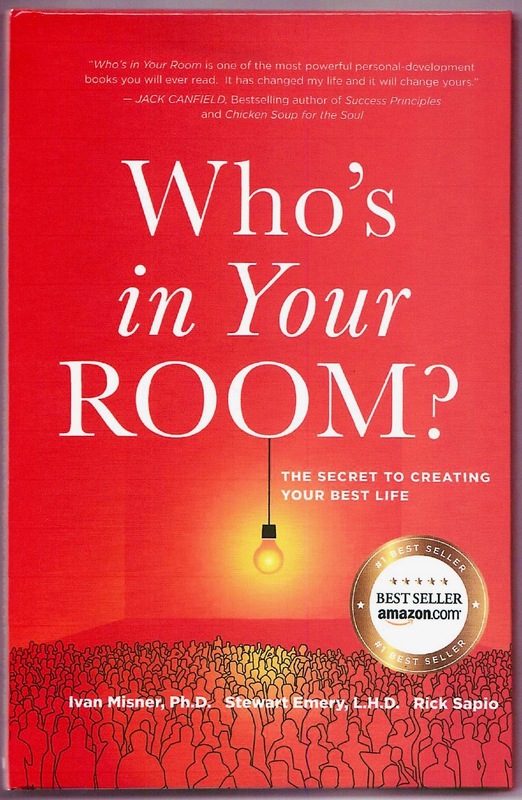 Helps you to easily identify the people you want in your room but also gets you in to the rooms that will really help to up level you and change your life. SE: Absolutely. I’m a sucker for shows. I love the Voice. I love the Voice and Joanie and I sit on Monday night when the shows on we feel like we’re in withdrawals but we love the Voice and what we love about it is it’s really a metaphor for Who’s In Your Room because each of the coaches turn around and if you are a contestant, you want to be in one of their rooms and then what kind of person you have to become to stay in their room and stay on the show. So it’s a real Who’s In Your Room kind of metaphor and you watch what happens to peoples lives when they’re mentored by the world’s best in a category. It’s just astonishing because you know, we watch people on the blinds, tryouts, and we watch them in the finals and you can’t believe it’s the same person. Just what’s happened. But they did the work, they chose the right room to be in, they welcomed the coach in to their room, the coach welcomed them in to the coach’s room and they often go on to make history. So I love that as a metaphor. SE: I think it’s a lot easier to live a great life than a not great life personally. NL: Right. Well, it’s definitely more fun and it definitely is more rewarding to say the least. So Stewart, if people want to connect with you, they need to get their hands on the book, like where can we send them to do that? SE: Well, so, whosinyourroom.online. So it’s Who’s In Your Room without an apostrophe and it’s not .com, it’s .online. So it introduces you to the book if you scroll all the way down then you’ll see all the choices and of course you can get it on amazon. You can get everything on amazon. So you can get it there. NL: Stewart, thank you so much for joining me today. It is always a pleasure spending time with you and with Joanie and for those of you that are watching the show, I really encourage you to go to whosinyourroom.online. It’ll actually be on the banner to the side here, we’ll have a link underneath the video as well so you can go directly through the website. And you know, really if you’re looking at setting great boundaries, improving the quality of your relationships and how you can connect with people that can up level you, this is the book that you want to get your hands on. So Stewart, thank you so much for joining me. SE: It’s wonderful. Have a great time up there. Thanks Natalie. NL: Thank you. Now guys, I encourage you to share this video. Please share the video, you can do that by clicking the facebook and the twitter share buttons on the page. The banner and the link below will take you through to Stewart’s website. And don’t forget, after all that’s over, click the link below that so you can download the free ebook version of my book Never In Your Wildest Dreams. So until next time, remember to live large, choose courageously, and love without limits. We’ll see you soon.